What were you doing at the age of 17? Probably not running in World Championships, right? Well, that’s exactly what today’s GladiatHer to Watch, Mary Cain, was doing. 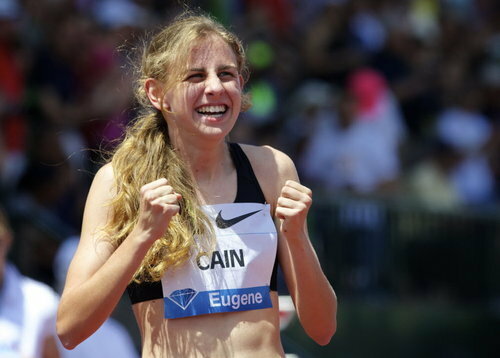 At 17 Cain became the youngest person EVER to run in the finals of the 1500 in the World Championship. On the way to the WCs Cain shattered record after record in middle distance races (800m to 2 miles). Today she announced that she will be forgoing the experience of running as a college athlete and will head straight for the pros. If the past year is any indication of the career ahead for the Bronxville native, it won’t be hard to watch her because she’ll be everywhere, winning everything. Run, Mary, run!